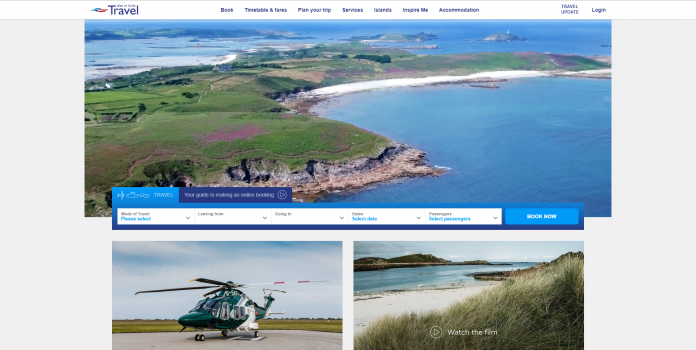 Isles of Scilly Travel has launched its newly redesigned and expanded website. The new website offers more information and advice to help people plan their trip to Scilly and enjoy everything the archipelago has to offer. Currently, all scheduled travel to the islands is operated by Isles of Scilly Travel, part of the Isles of Scilly Steamship Group. Skybus fixed-wing planes fly from Land’s End, Newquay and Exeter Airports, Island Helicopters operates from Land’s End Airport, and the Scillonian III passenger ferry sails from Penzance between March and November. Marketing and communications manager, Sharon Sandercock, said: “We’ve thought carefully and worked hard on our new website, which will improve the customer booking experience and offer a wealth of advice and guidance for those planning a visit to the islands. “We are regularly being asked by our passengers for more information about what they can do on the Isles of Scilly, whether during a day trip or for a longer holiday. Passengers have repeatedly requested that we provide information about accommodation as well as the many activities and events on Scilly.